CHAMPAIGN — Even with 34 years of experience in climatology with the University of Illinois — 21 of those as Illinois State Climatologist — Jim Angel says he wishes he could tell farmers more precisely what weather will be like during spring planting season this year. Weather technology has become more accurate and available during Angel’s career. The prediction of severe weather — especially for tornadoes and major storms — can be very accurate now. But predicting spring weather is “a tough nut to crack. If I knew what the next growing season would be, I’d be a retired millionaire,” he said Dec. 21 during an interview at the 2018 Farm Economic Summit in Champaign, his last speaking engagement before retirement at the end of 2018. He said it was appropriate for his final meeting to be with farmers since he has worked with them often, and his interest in weather first started as a child on his grandparents’ western Illinois farm. With the information he had available to him in December, he said January to March will be a little drier than average, and April to June will be a little warmer. At this point, the growing season from July to September may be warmer and wetter than average in the Champaign area of Illinois. In his address to farmers, he said that summers in Illinois in recent years have been cooler in the daytime but warmer at night, which has an impact on the growing season. The variability of weather was notable in 2018, with April being one of the coldest in Illinois history and May being one of the warmest. “2018 is on track to be the fourth warmest on record,” he said. There have been considerably fewer long-term, serious droughts in Illinois since 1955. The droughts in 1988 and 2012 were considerably less severe and frequent than those experienced in the 1930s, Angel said. Farmers were interested in the predictions for drought here and elsewhere next year because economists at the meeting had said drought was one of the factors that could make corn and soybean prices rise. In recent years, intense rain has often been a challenge for farmers, said Angel, who has worked with farmers and engineers who manage storm water drainage. Many single rain events are bigger than they used to be. The amount of an average rainfall has almost doubled from 1.4 inches to 2 inches in the last 30 to 40 years, he said. “It is 10 percent wetter in Illinois in the last century,” he said. There is about an extra month’s worth of rainfall every year, comparatively, and more heavy rain episodes, he said. More of the rains have come off-season, he said, citing Illinois flooding in 2015 and 10 to 15 inches of rain in February recently. Two inches is the average precipitation for Illinois in February — usually in the form of snow. 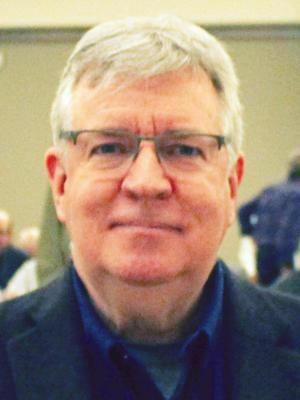 Farmers are managing some of those weather changes by using cover crops in the winter, adjusting tillage or with engineered solutions, he said. A series of wet springs in the Midwest have caused planting delays, replanting and nutrient loss issues, he said. The year 2018 was one of extreme conditions in Missouri and Southern Illinois, with a 100-year flood followed a few months later by full-blown drought in Missouri, and then the rains returned, said Angel, who spent some of his childhood years in Missouri and earned bachelor’s and master’s degree there. Angel, who recently participated in a national study on climate change, said Illinois hasn’t seen a steady increase in temperatures as in other areas, including Alaska, where it has been much warmer. It snowed in Champaign, Illinois, in October 2018, which was earlier in the season than it snowed in Anchorage, Alaska. Still, Illinois’ growing season is longer now with more frost-free days. Illinois gained 10 to 20 frost-free days since the 1920s, he said. Following the general warming trend, temperatures may increase by about 4 degrees by mid-century in Illinois. “That doesn’t sound that different,” he said, but it means there were more extremely hot days, like in 2012 when there were 10 days over 100 degrees in Champaign and 20 days over 100 degrees in Carbondale. High summer heat can bring more challenges with pests and pathogens, Angel said. “Genetically, we are doing pretty good,” he said, showing a photo of 9-foot-high corn in Champaign taken on the Fourth of July.